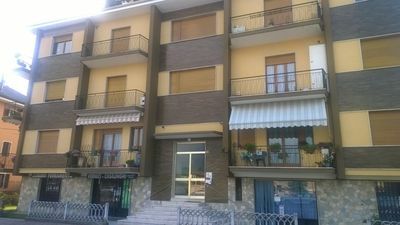 Apartment located on the central square of Madonna dell'Olmo (fraction of Cuneo). Centrally located, close to all points of interest of the village and not far from Cuneo. The accommodation is very bright, with balcony on the square and has many free on-site car parks. It consists of a bedroom with double bed, a bathroom with tub-shower, a kitchen-diner with a double sofa bed.